There’s no denying that Zoe Kravitz is a true rockstar. The actress, singer and model chose an edgy ensemble for the premiere of new TV series “Big Little Lies.” The daughter of Lenny Kravitz isn’t one to settle on a boring black dress, so she wore a Vera Wang mini dress with an interesting structure. 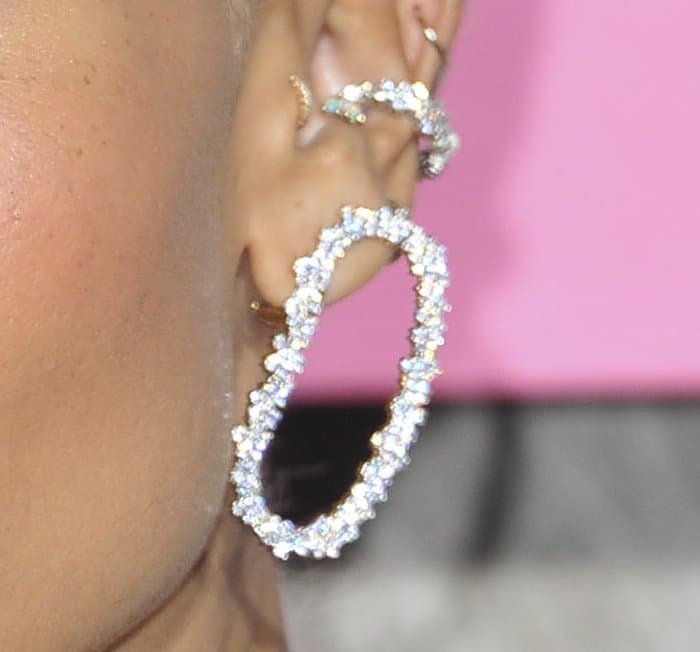 Zoe coupled the dress with a pair of bejewelled Sophia Webster “Rosalind” Sandals, making her a standout at the premiere. 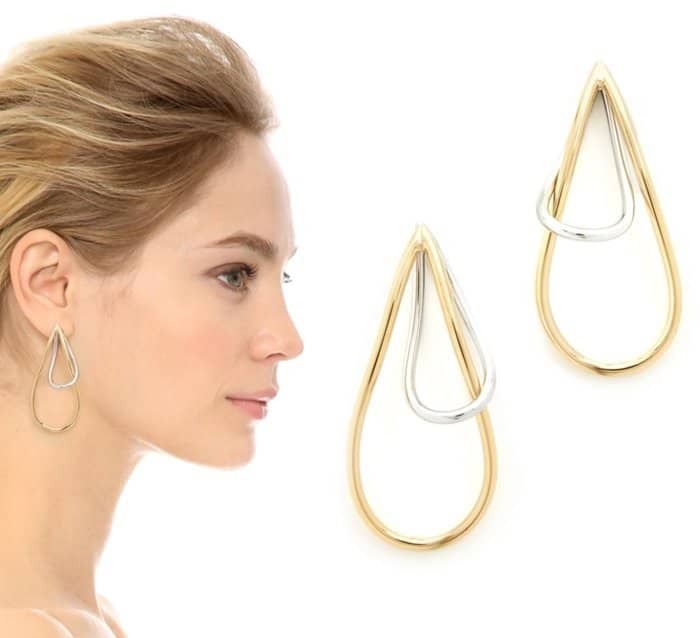 Zoe added a touch of glam to the mix with the perfect jewelry pieces from Ana Khouri. 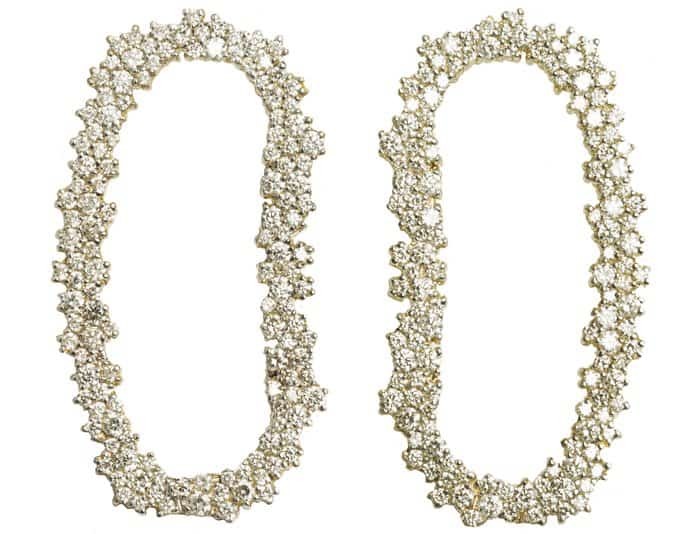 Zoe decorated her ears with the ‘Mia’ earrings, one of the newest offerings from Ana Khouri. 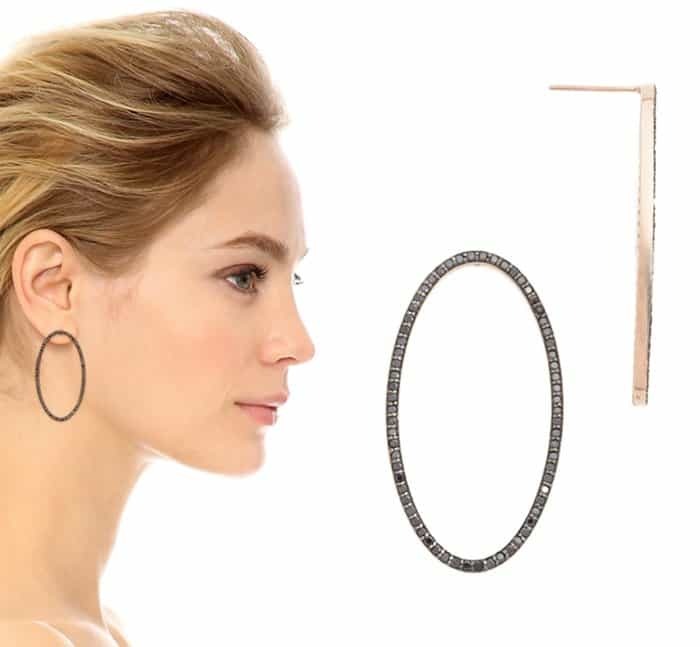 The earrings feature 18k fair trade gold and white diamonds, and softened up her punk platinum braided hairstyle. 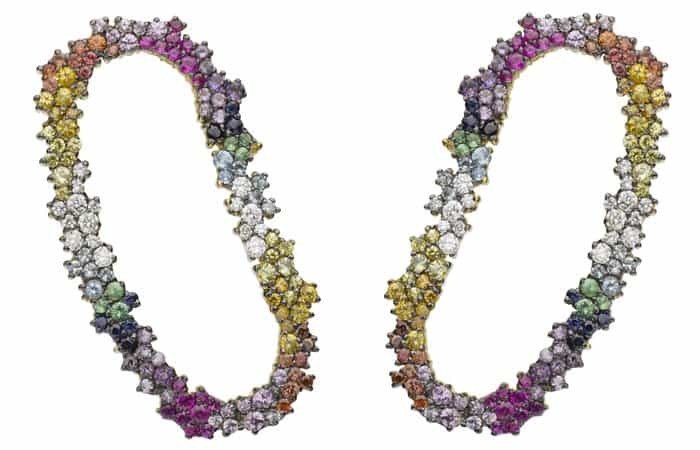 These earrings also come in a multi-colored style that features a mix of white diamonds, sapphires and tourmalines. Zoe Kravitz at the ‘Big Little Lies’ HBO Series Premiere at TCL Chinese Theatre on February 8, 2017. Get the same edgy but glamorous look with our picks below.